When the time came for South Lakes High School (Reston, VA) sophomores Aria Kimiavi & Marcus Miles to decide on an idea for their MYP (Middle Year’s Project) it didn’t take long. That’s because their older brothers Bardia Kimiavi (Northwestern University) and Devin Miles (Catholic University) had organized the first Charity Video Game tournament at South Lakes three years earlier. “I remember Bardia being so excited he had found a charity that provides soccer balls to third world countries,” Aria said. 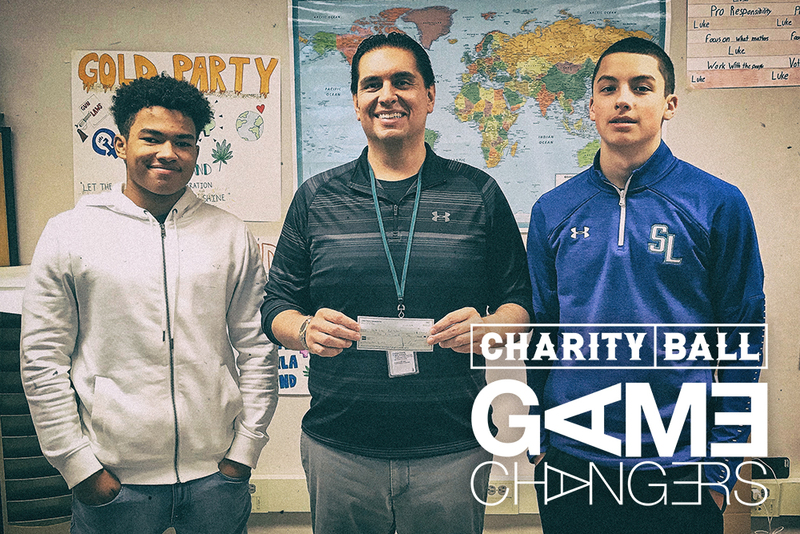 Sports and gaming have long played a major role in these students’ lives, so they decided to continue the tradition with fellow sophomores and teammates Oliver Giaon, Andy Hurt, and Matthew Lature to raise over $500 for Charity Ball this past December. “We have spent so much time together on the court, and also playing games off the court like 2k and FIFA over the years, that to think we could help others while doing what we love was too hard to pass up,” said Giaon; who along with Hurt, Lature, and Miles were part of an undefeated freshman basketball team last year. “Our school is truly built on a sense of community, and this event where we have gone from the youngest in the room, to now running it is a great example of that,” said Miles who also won a conference championship in football this year as the starting varsity quarterback. For South Lakes High School teacher & Coach Jon McNamara who supervised the tournament, that family atmosphere is what pleases him most. “When former students who were part of organizing the first charity tournament like Spencer Alston (Yale) came back last week to visit, the charity tournament was one of the first things they ask about.” McNamara continued, “Being an IB school, one of the IB Learning Profile traits we try to instill in all students is caring. 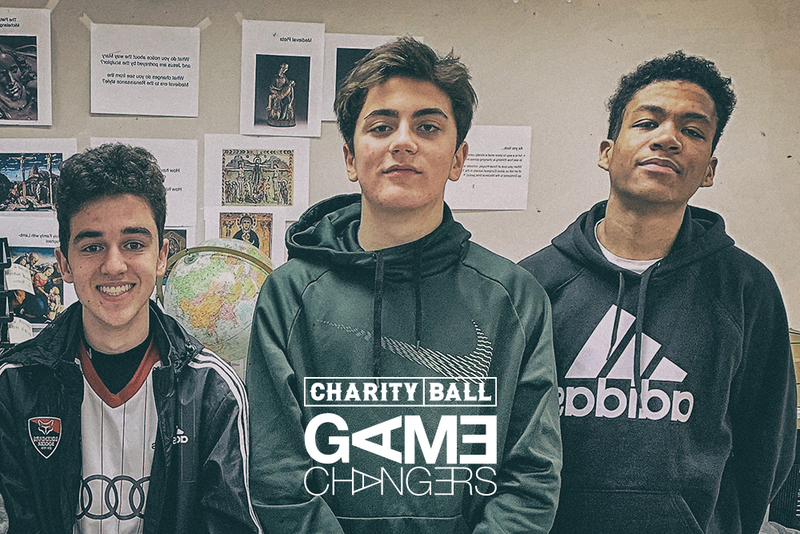 This year’s group of 5 students have shown that to their peers and teammates to great success on and off the court/field; and with the help of Charity Ball can now demonstrate that caring to the larger world—for kids who have not had the same opportunities and access to sports as them.” As the day ended, Giaon said three freshman came up to him hoping to learn the ropes and continue the tradition in 2019. Thanks Andy, Bardia, Matthew, Marcus, and Oliver for using what you love to make a difference!